 The East Arnhem Regional Council, under valuable funding through the NT Government Department of Tourism and Culture, will be undertaking lighting upgrades to the Gapuwiyak Sports Oval with flood lights to be constructed and installed. This is part of a larger project which will see Gapuwiyak, Galiwin’ku and Milingimbi receive lighting installations to their sporting ovals. 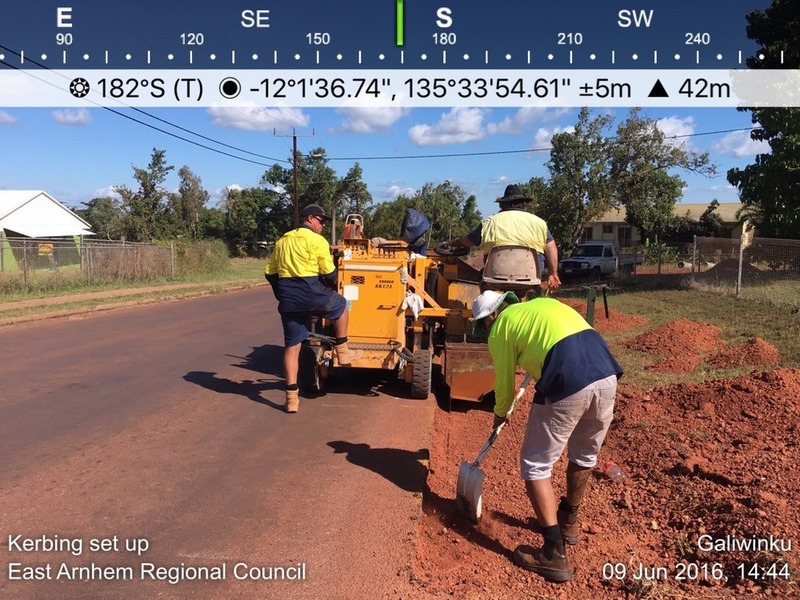 The East Arnhem Regional Council, under valuable funding through the Building Better Regions Fund, seeks to undertake a substantial upgrade to the Milyakburra Community Internal Road network. 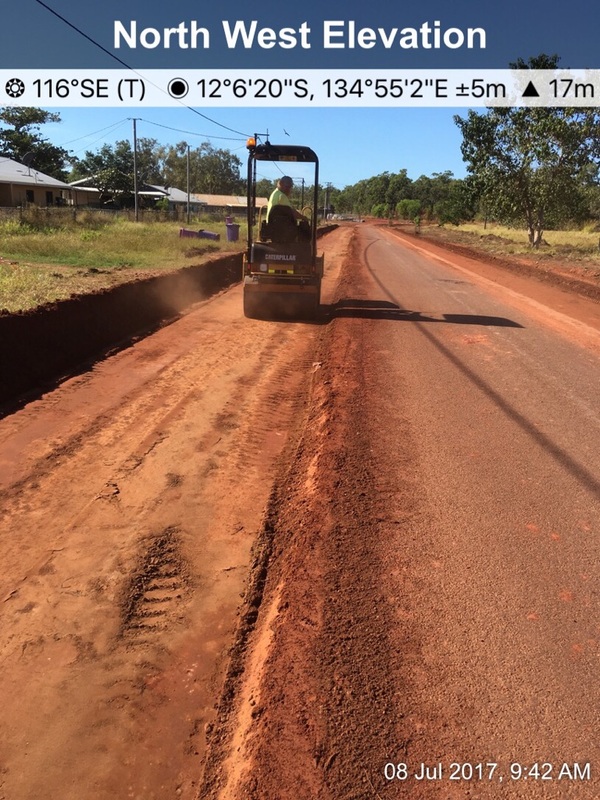 The East Arnhem Regional Council, under valuable composite funding through the Federal Roads 2 Recovery Program, shall deliver a capital renewal program in Milingimbi . The Works generally comprise of: the rectification of localised defects inclusive of potholes and deformation; Widening of select roads; New Seals; andShoulder reconstruction works. 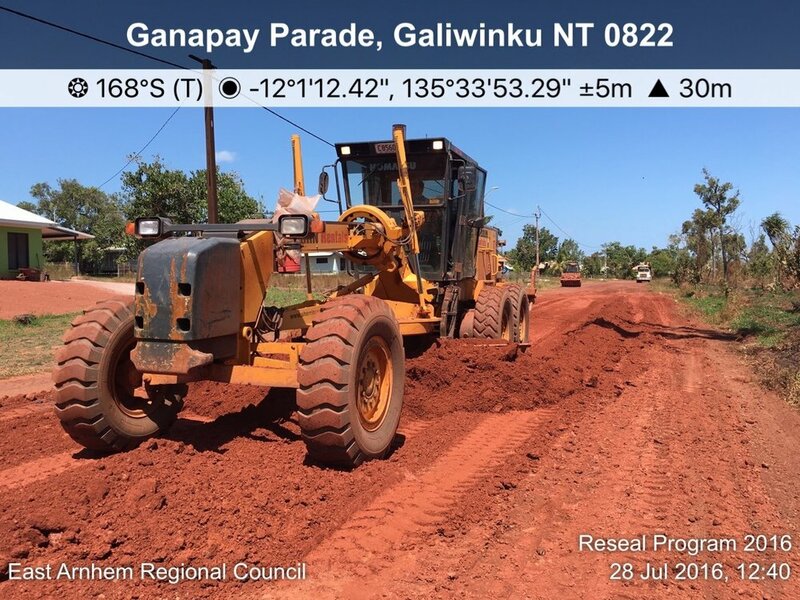 This capital renewal program in Gapuwiyak will see repair, reconstruction and re-sealing of many of the internal roads in Gapuwiyak with additional new bitumen sealing on strategic roads. In early 2015 Tropical Cyclones Lam and Nathan swept through the East Arnhem region. These cyclones and the accompanying wet, resulted in varying levels of damage to the Council’s road network. The Council, under funding through Natural Disaster Relief and Recovery Arrangement, is committed to restoring those roads that were damaged to a level of operation which existed prior to the Cyclone event.  This contract is for the repair of road in various locations along the Mapuru Road. The Mapuru Access Road runs 80km northwards from the Central Arnhem Highway linking the outstations and homelands at the northern limits of the Napier Peninsula to the community of Gapuwiyak. The Works generally comprise of road repairs namely the reformation and preparation of insitu material to serve as a subgrade surface, inclusive of the reinstatement or creation of drainage offlets, followed by the placement and compaction of locally won gravel. 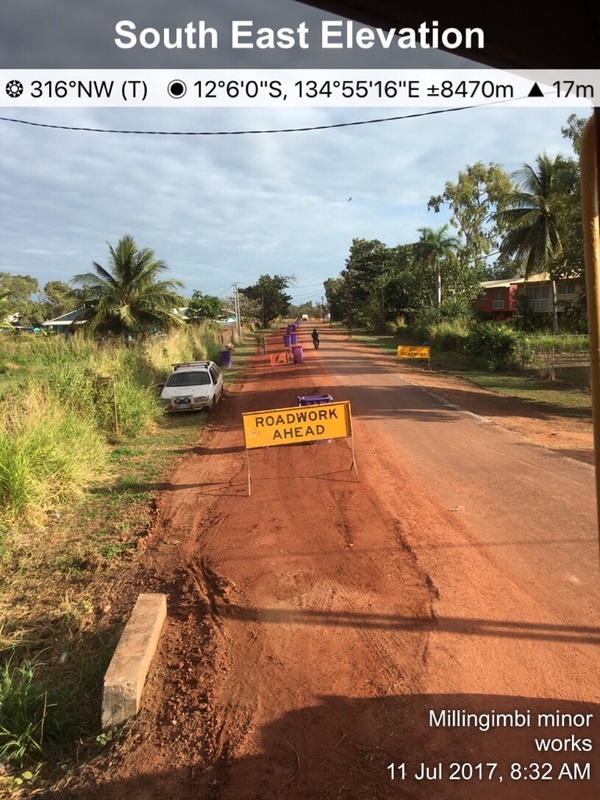 Balma Access Road is a flat bladed roadway which runs 80km from the Central Arnhem Highway south-ward to the community of Balma. 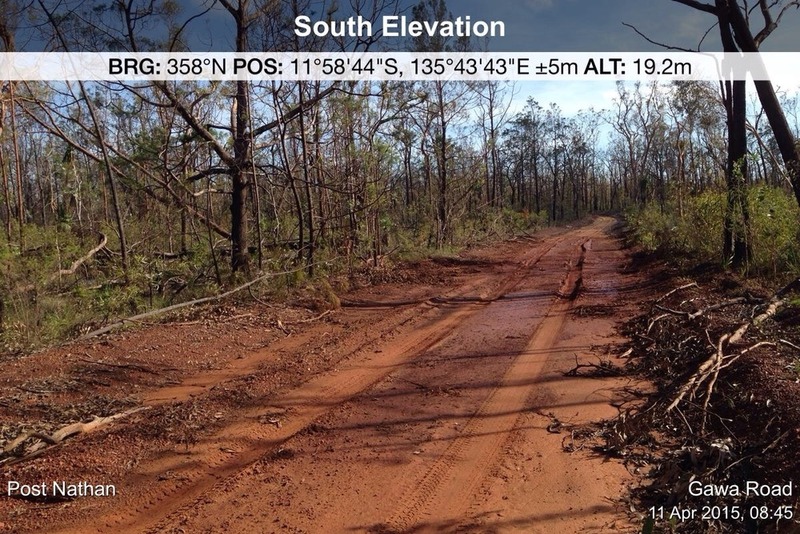 Cyclone Nathan, with its sustained rains rendered the roadway impassable due to numerous vulnerable sections which seasonally become boggy. In particular a billabong section commencing within 50m of the entrance of the roadway readily renders this impassable for many months. With valuable funding through the Natural Disaster Recovery and Relief Arrangement we seek to repair this roadway. The works generally comprise of road repairs namely the reformation, gravel patching and drainage works.  Additionally, funding through the NT Department of Transport shall see to construction of a low level crossing at the Koolatong River. 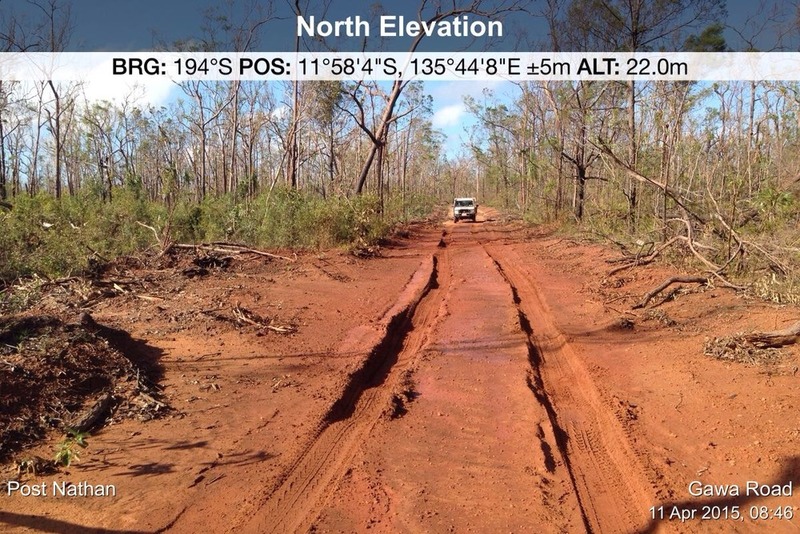 The Raymangirr Access Road runs 47km from the Gapuwiyak Barge Road to the Raymangirr outstation. 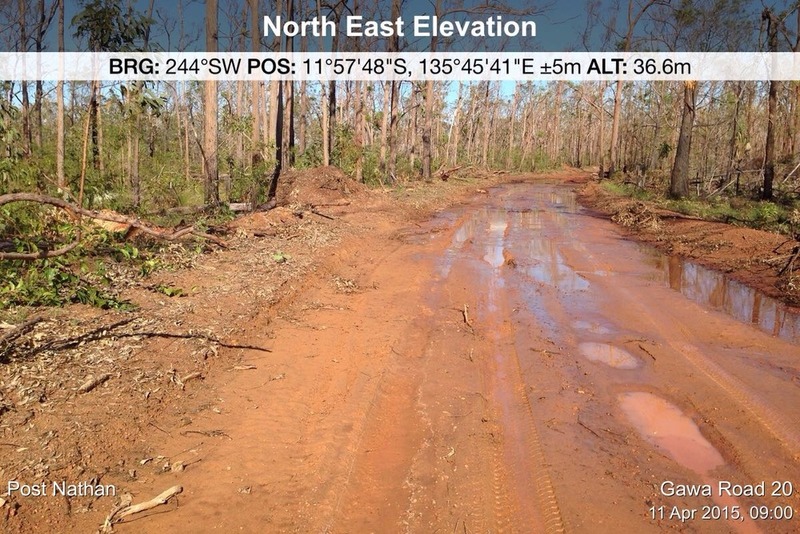 Raymangirr road was severely effected by the intense rain event associated with Cyclone Nathan recording 540mm through the month of February (near half being recorded in a single day). 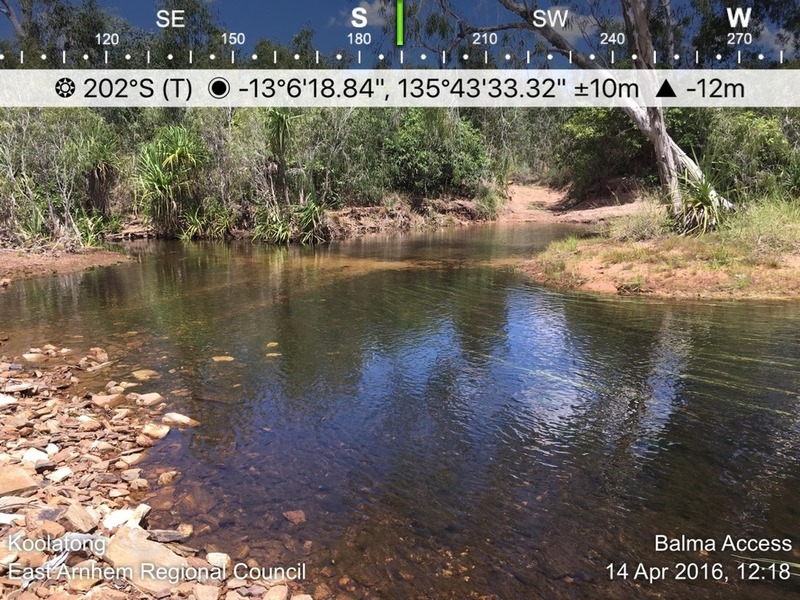 Deep longitudinal and transverse scouring occurred in numerous sections with further creek crossing washing away. In early 2015 Tropical Cyclones Lam and Nathan swept through the East Arnhem region. These cyclones and the accompanying wet, resulted in varying levels of damage to the Council’s road network. The Council, under funding through Natural Disaster Relief and Recovery Arrangement, is committed to restoring those roads that were damaged to a level of operation which existed prior to the Cyclone event. This contract is for the repair of road in various locations along the Gawa Road. 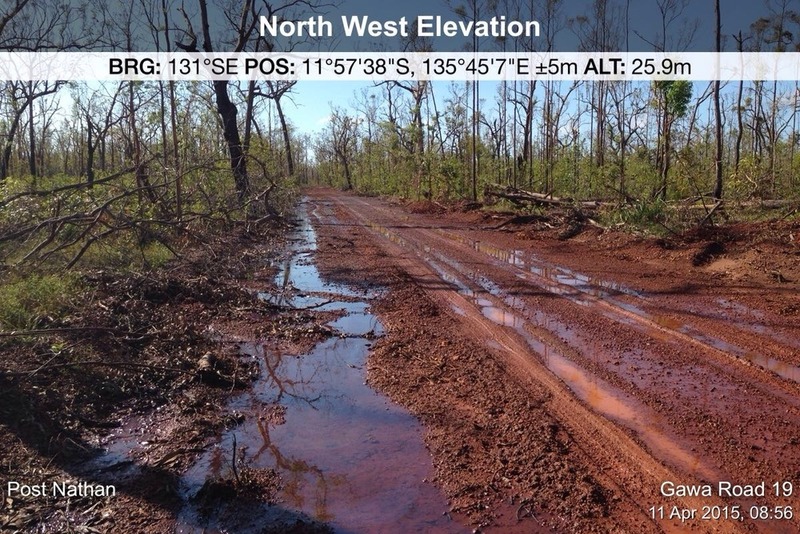 The Gawa Access Road runs 55km up the centre of Elcho Island linking the outstations and homelands at the northern limits of the Island to the community of Galiwin’ku. The Works generally comprise of road repairs namely the reformation and preparation of insitu material to serve as a subgrade surface, inclusive of the reinstatement or creation of drainage offlets, followed by the placement and compaction of locally won gravel in specifically nominated areas. 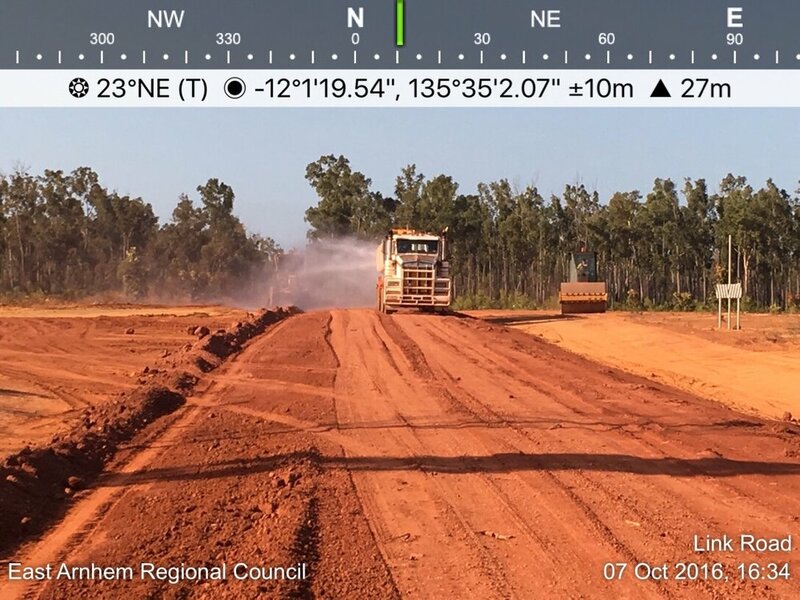 The East Arnhem Regional Council, under valuable composite funding through the Federal Roads 2 Recovery Program and the NT Dept.  of Transport, shall deliver a capital renewal program in Ramingining . 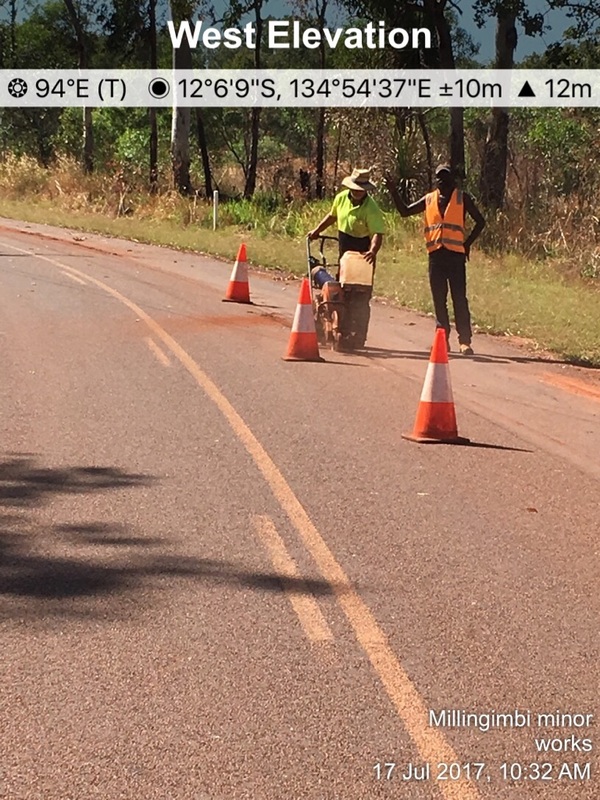 This will see repair, reconstruction and re-sealing of many of the internal roads in Ramingining with additional sealing of the Airport Access Road. 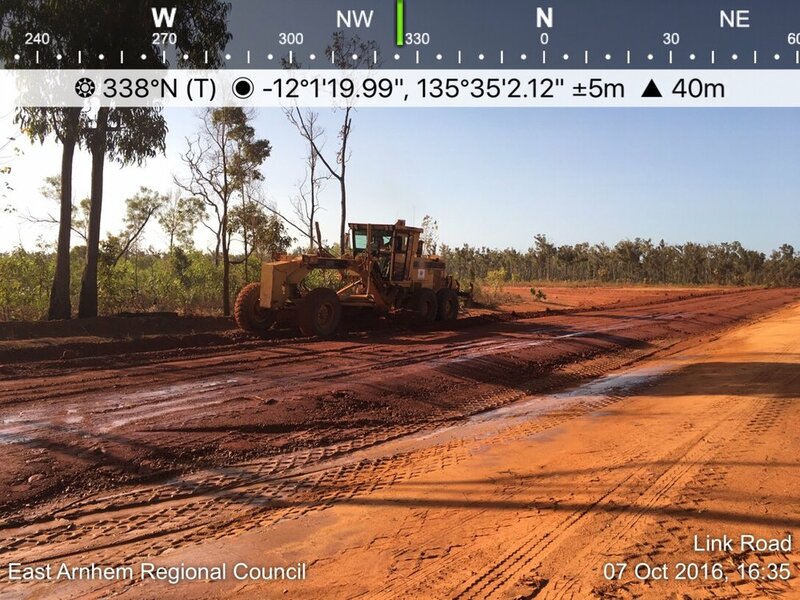 The East Arnhem Regional Council, under valuable composite funding through the NT Dept. 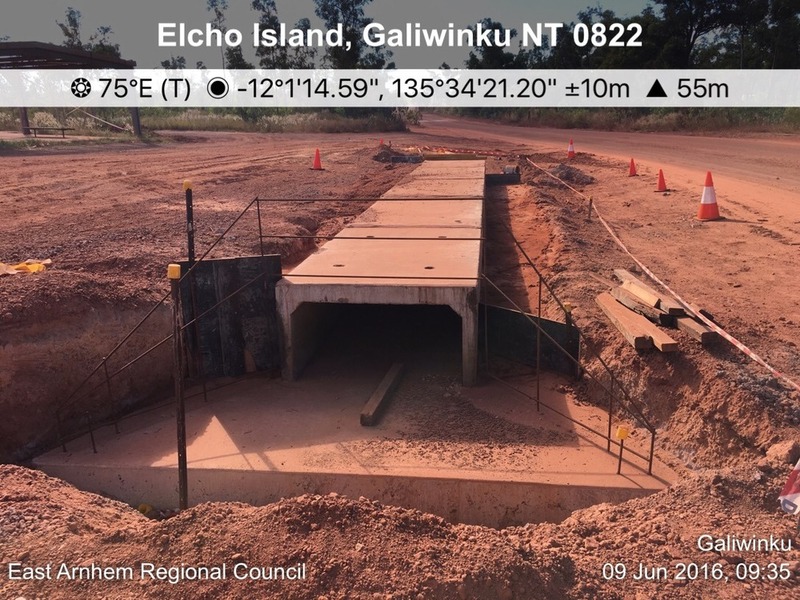 of Transport, has completed delivery of a capital renewal program in Galiwinku. This program has seen repair, reconstruction and re-sealing of many of the internal roads including the school, health clinic and ALPA store roads. Significantly this program has seen the bitumen sealing of the Burmala Road to the Buthan Sub-division. 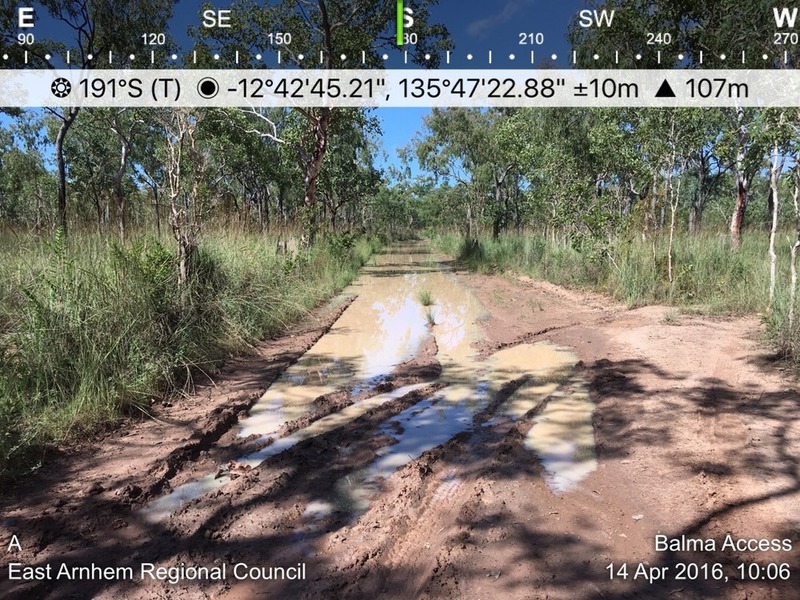 The East Arnhem Regional Council, under valuable composite funding through the Aboriginals Benefit Account and the Federal Roads 2 Recovery Program, shall upgrade the Bodiya Outstation road on Milingimbi.  The Works generally comprise of the reformation and preparation of insitu material to serve as a subgrade surface, inclusive of the reinstatement or creation of drainage offlets, followed by the placement and compaction of locally won gravel.  Indigenous participation is a predominate outcome of the delivery of this project. 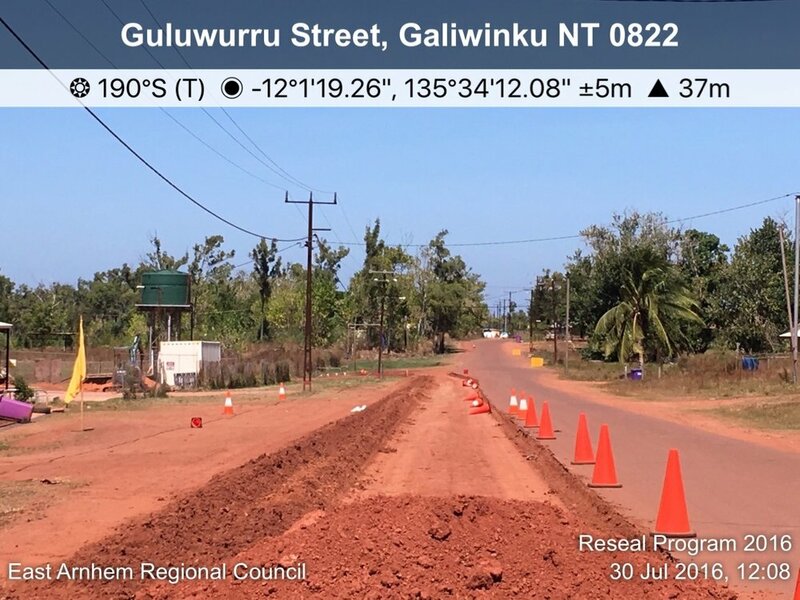 The East Arnhem Regional Council, under valuable composite funding through the Federal Roads 2 Recovery Program, shall deliver a capital renewal program in Yirrkala. 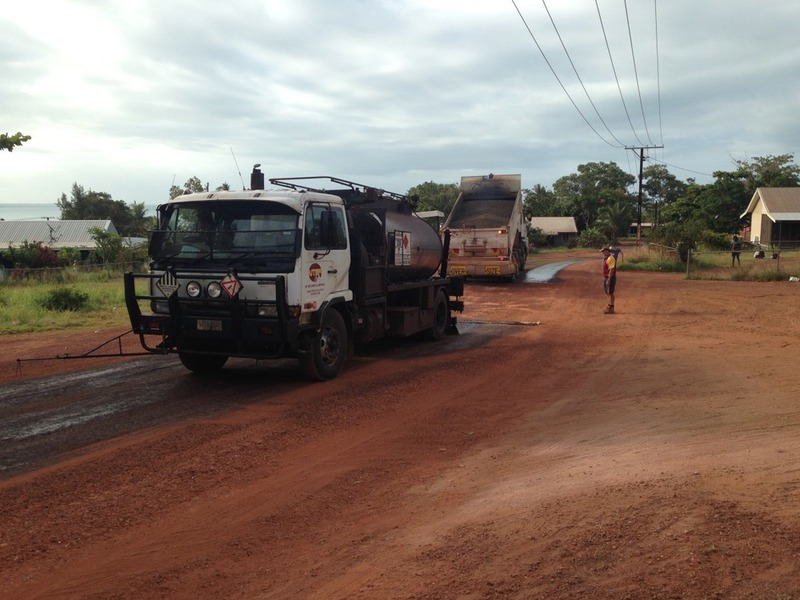 This will see repair, reconstruction and re-sealing of many of the internal roads in Yirrkala with additional improvements to the Access Road. 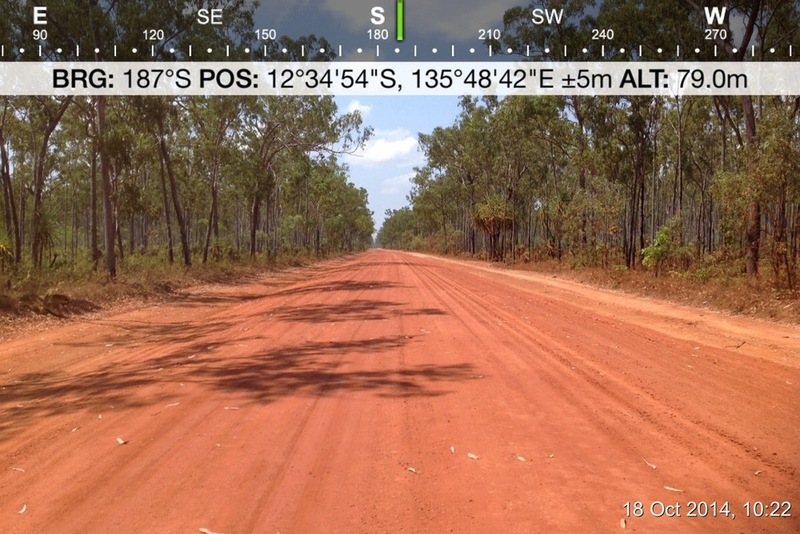 The Gapuwiyak Access Road is a 24.3km gravel roadway which links the community of Gapuwiyak to the Central Arnhem Highway. 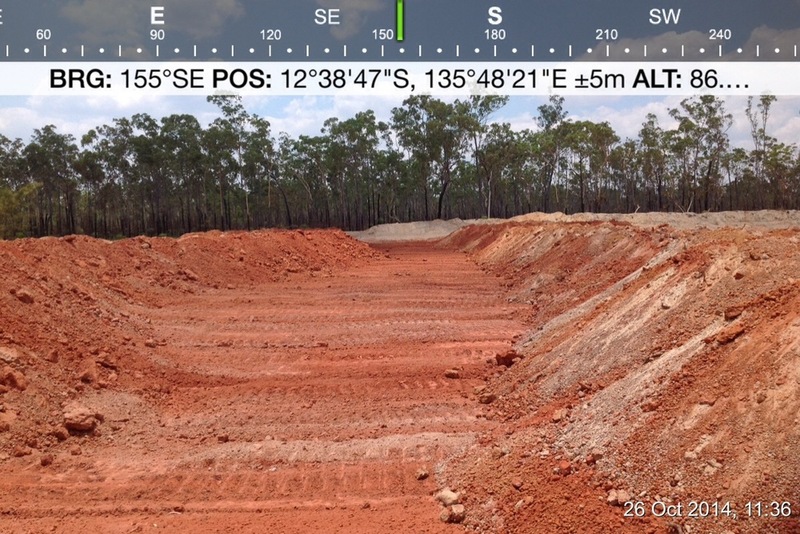 The East Arnhem Regional Council aims to upgrade the existing Gapuwiyak Access Road to improve the safety and amenity of this roadway.  Under this contract the Contractor is required to undertake a substantial upgrade of the full length of the roadway. This upgrade will include 150mm compacted gravel re-sheet to 16km of the roadway and construction of 2x concrete floodways. In late March 2011 Tropical Cyclone Carlos swept through the East Arnhem region. This cyclone and the accompanying wet was responsible for in excess of 300mm of intense rain, resulted in varying levels of damage to the Council’s road network . The Council, under funding through Natural Disaster Relief and Recovery Arrangement, is committed to restoring those roads that were damaged to a level of operation which existed prior to the Cyclone event. This contract is for the repair of road and drainage infrastructure in various locations along the Mirrnatja and Donydj Access Road, situated to the west of the community of Gapuwiyak.